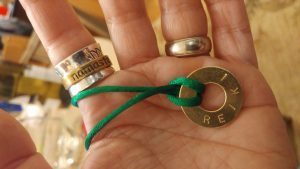 Choose your word and I’ll stamp it on this brass circle for you, charge it with Reiki energy, and tie it onto a necklace or adustable bracelet. 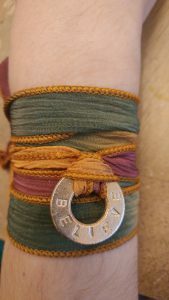 Your word is your intention – wear it to help strengthen and express it! 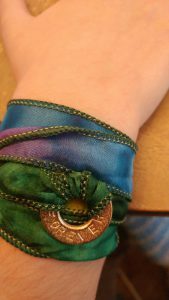 What word represents your intention best? Tell me and I’ll make it for you! I’ll try to honor string color requests. I’ll get as close as possible. 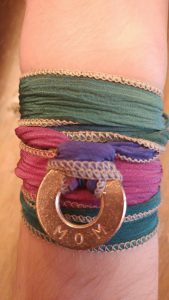 Multiple order discount available! 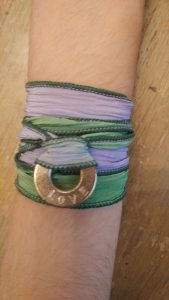 You can also choose a silk wrap, which can be tied into a bracelet, and is long enough to be a necklace as well. Here are some pictures! 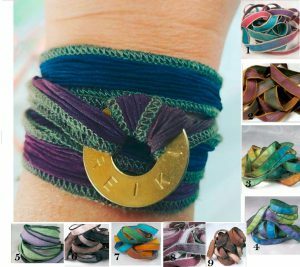 For silk wrap bracelets/ necklaces, choose the number next to the color(s) you want in the first picture below. 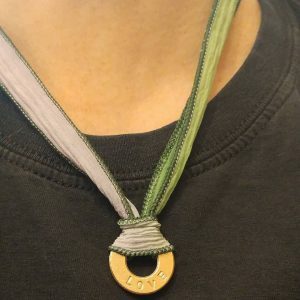 silk wrap, string cord with clasp, or multiple order combo? What word(s) do you want? 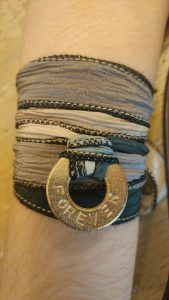 String color/ wrap color #(s)?